You can’t go wrong when you have the magical formula of Charlie Lovett and Bill Francoeur, especially when every single character gets their moment in the spotlight in this musical comedy! Can a children’s show really be about true love? Sure it can, when those involved include the supremely bratty Prince Rupert, the equally obnoxious Princess Iphigenia, peasant children Elton and his sister Ernestine who sell the family’s electronics for a measly five beans that they hope are magic, and Rapunzel and her brother Bill, who are forced to stay in an enchanted tower because they refuse to get a haircut. The prince and princess have been exiled to the wild woods of Wychwood and can’t return home until they each find true love. Read more... But who would love such spoiled brats? With a fairy tale committee that includes a super-cool big bad wolf and a bumbling fairy godmother making the rules, this rocking and rolling romp is a tangle of twists and turns! 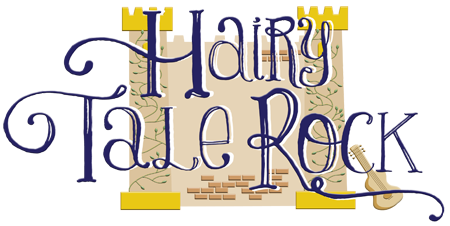 Hairy Tale Rock will have you laughing until the curtain falls and everyone okay, almost everyone has learned the meaning of true love, true sacrifice, and truly hilarious storytelling. Click here for a fun and educational study guide for Hairy Tale Rock. This great book has 275 all-new games divided into 33 categories — body awareness, concentration and focus, improvisation, mime and much more — making this book a great bargain for the price. These original scenes are ideal for classroom practice or for contest use.